... like the hotel maid who cleans your room. 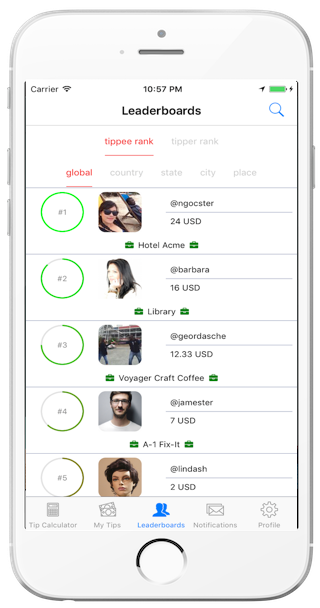 Compete with your colleagues and friends to rank on the leaderboard for the most tips earned or given. 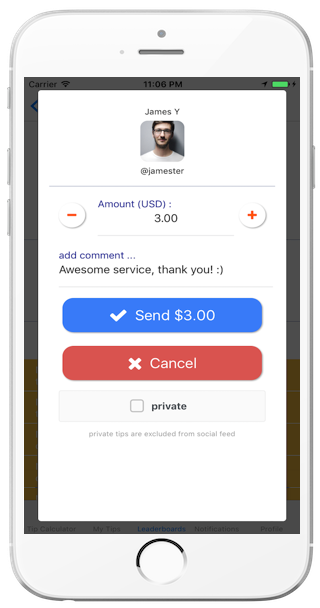 Gratuity used as an implicit review to calculate rating of service industry professionals as the best measure of great service. $$ rating more meaningful measure than arbitrary stars. Leaderboard rankings identify best service professionals. Employers recognize top performers. Prospective employers recognize great candidates. 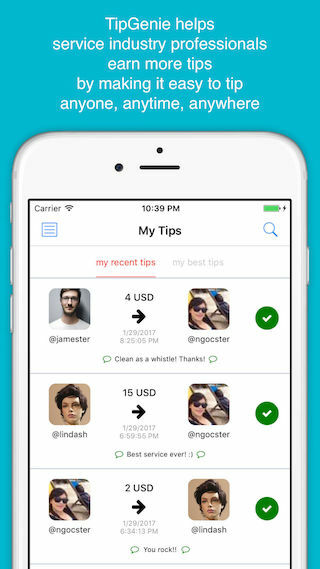 Easily tip anyone by QR code or username. 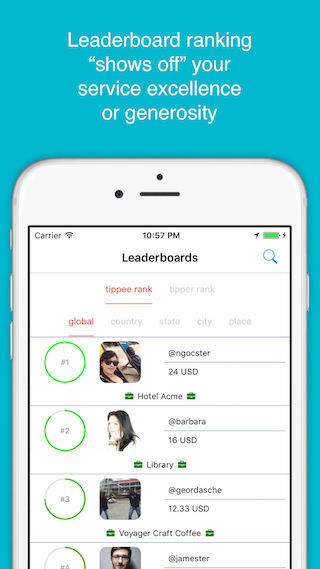 Leaderboard ranks tippers by their tips as a measure of generosity. 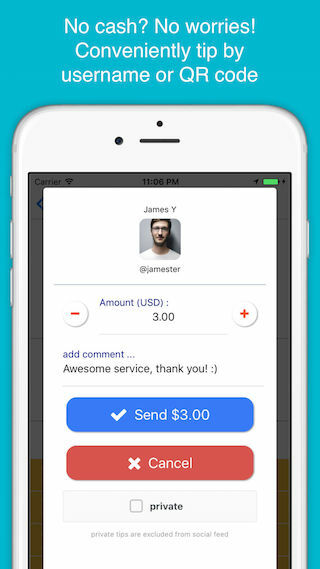 Valuable customers recognized and rewarded with extra special service. 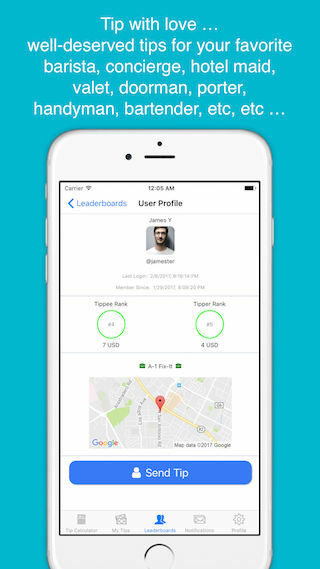 Compete with your colleages and friends on the leadboard for bragging rights. 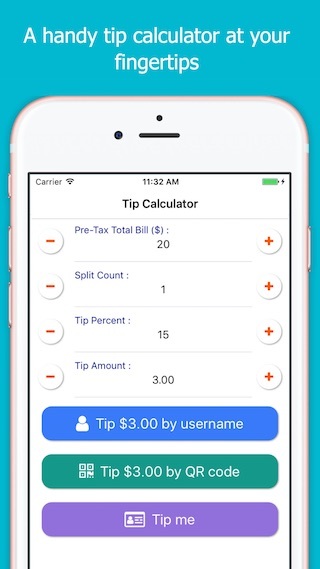 Whip out Tip Genie to calculate and split tips in a breeze. We'll keep you updated on new releases. 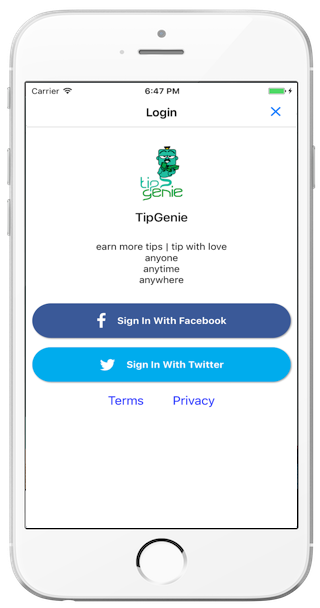 2013 - Copyright TipGenie Corp, a Lumindata Inc company. All Rights Reserved.